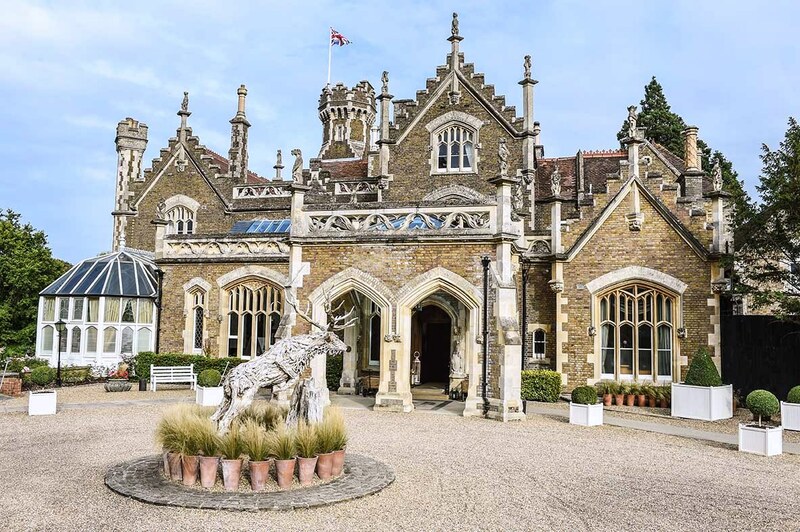 The Oakley Court is a quintessential four-star country house hotel, set in a 33-acre estate in Windsor, about an hour’s drive away from London. Running through the estate is a stretch of the River Thames, which makes the property ideal for long walks or for exploration by bike. The property is well equipped with its own gym, indoor swimming pool, tennis court as well as a 9-hole golf course. Most famously however, Oakley Court has been the setting for many a movie including The Rocky Horror Picture Show. We stayed in one of the Director’s Suites at the hotel, a spacious, comfortable and well-appointed room overlooking the lovely groups of Oakley Court as well as the River Thames. This was as quintessentially country English as you can get with charming antique furnishings. Dinner was at the Oakley Court’s in-house 2 AA Rosette restaurant, The Dining Room, where head chef Damian Broom cooked an exquisite 7 Course Tasting Menu (£65) for us. 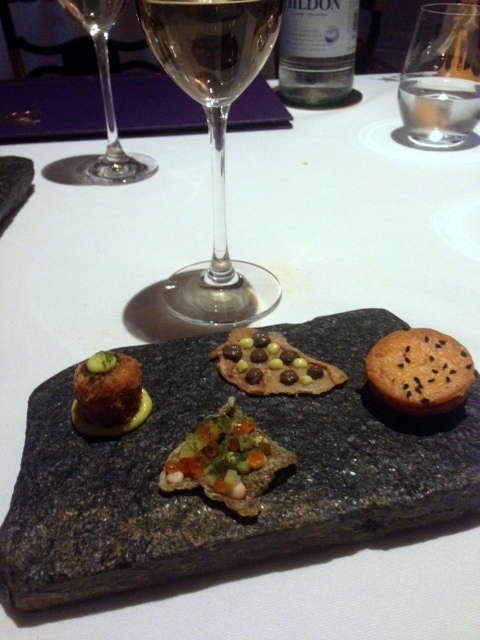 The meal began with a selection of canapés, all of which were delicious. There was a dainty and light parmesan sable which paired well with some fluffy parmesan cream. Second on the list of canapés was a piece of crispy chicken skin. It was well seasoned and had been topped with a flavoursome mushroom puree and mayonnaise. Also wonderful was the crispy cod skin with cod roe and a moreish pork belly croquette. Some homemade wild yeast sourdough with homemade Jersey Butter followed, accompanied by a flavoursome seaweed broth. The bread very tasty, and as it was served warm, proved to be a real treat with the light, creamy butter. The first course was leeks with chicken ‘bits and bobs’ which consisted of fresh leeks from the garden, chicken hearts and chicken skin. This was a lovely dish. The leeks sang with freshness and flavour, the chicken hearts were firm, yet moist, and the chicken skin was nice and crispy. Completing the dish was some leek ash powder and onion puree that added a luscious umami dimension to the dish. 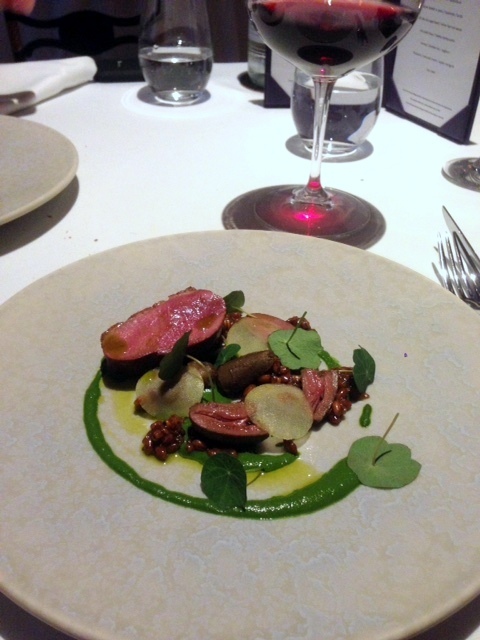 Savoury grains with duck was next, and this was another wonderful dish. The grains, a selection of perky barley and a variety of seeds came with slices of pink and tender duck as well as some wholesome duck hearts. There was also nasturtium root for a touch of earthiness and nasturtium leaves for freshness. The fish option was my favourite dish of the evening, a perfectly cooked piece of succulent wild halibut served with wild greens of samphire and celery. Completing the dish was a green broth of cabbage, asparagus, lettuce and leek. The broth had a hint of acidity running through it that balanced out the dish nicely. This dish was alive with Oakley garden freshness, equally matched by the freshness of the fish. This dish showed off exquisite mastery, with the only drawback being that it was a little cold. 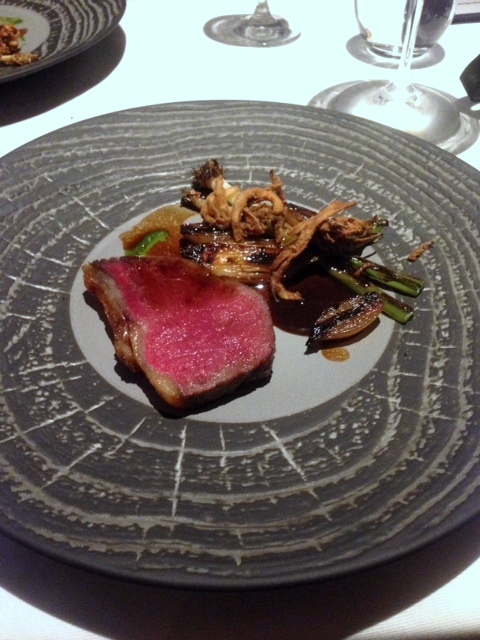 To the meat course, and this was a 120 day dry aged sirloin beef with alliums, deep fried onion and a bone marrow sauce. The beef had an intense depth of flavour and a silky smooth texture. The dish was a little over seasoned, but otherwise it was a good plate of food. 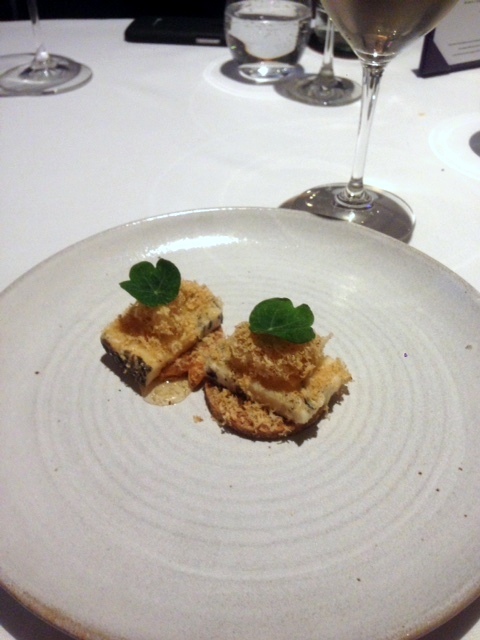 I adored the cheese course of Mrs Bell’s blue with Oakley honeycomb, nasturtium, walnut shavings and an oatcake. The cheese was a delight, and perfectly paired with the decadence of the fresh, but not too sweet honeycomb from the hotel grounds. The homemade oatcake was crunchy and tasty, and the shavings of walnut added a nice contrasting nuttiness. 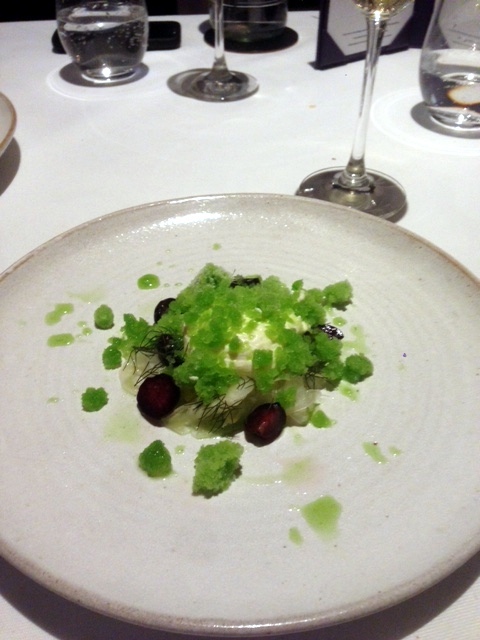 The first dessert course was shaved fennel with pickled blueberries and yoghurt. All the elements had been well prepared, however the combination of the fennel with the pickling of the blueberries wasn’t particularly to my taste. 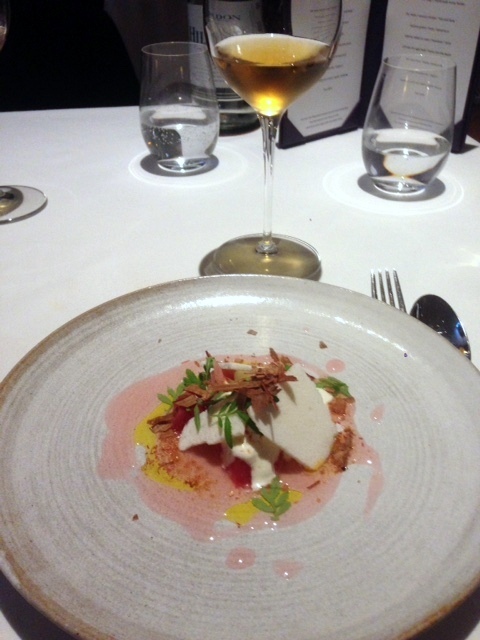 But I thoroughly enjoyed the final dessert of rhubarb with rhubarb shavings, cultured cream, milk crisps, apple marigold and a dash of rapeseed oil. There was a lovely contrast between the sweetness and sharpness in the rhubarb, which was then balanced by the lovely richness of the cream. I also found the herby tones of the apple marigold to be a fragrant addition to the dessert. 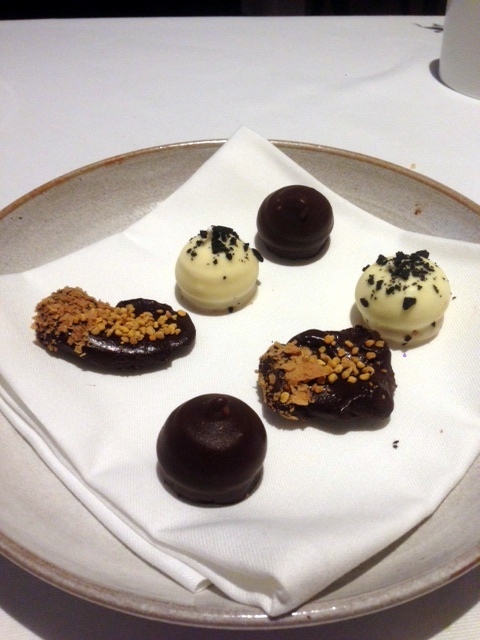 Finally to petit fours which included a seabuck thorn teacake; lemon, white chocolate and black olive; and honey valronha and chocolate ganache. They were all well made but I found them all a little too sweet and a little too rich. The aspect of The Dining Room experience at The Oakley Court that resonated most with me was the superb freshness of the produce in each and every dish. I was well and truly impressed with the stunning quality of the ingredients. Pair this with an excellent showing of haute cooking and a carefully curated menu, and you have a dazzling display of great food. There were a few elements that could have done with some tweaking, for example a couple of the dishes were a little cold and the beef was over seasoned. But otherwise everything else was spot on. 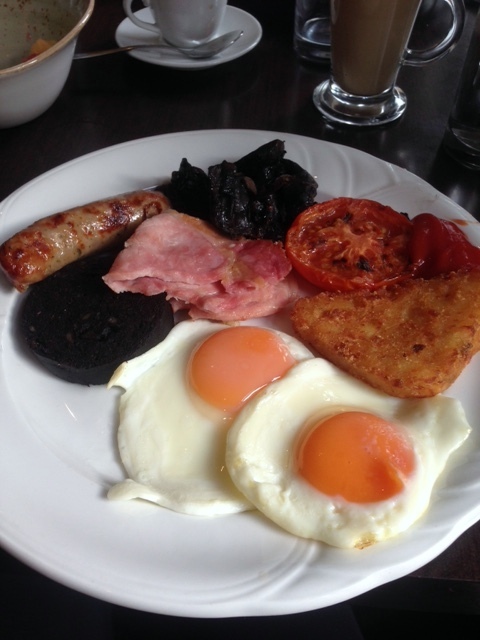 Breakfast in the morning consisted of a buffet selection of good items, and this was also very well executed. Clearly the kitchen at The Oakley Court was very well run. 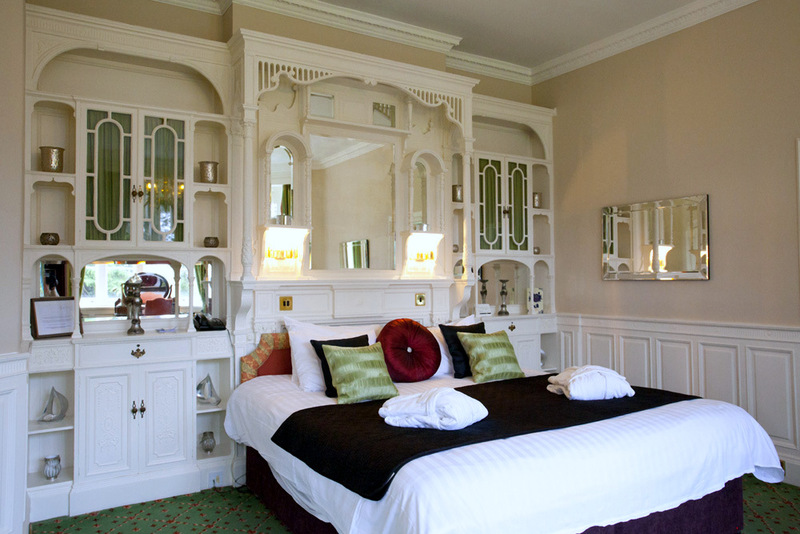 The Oakley Court Hotel makes for a great weekend country escape – think long walks and the like. 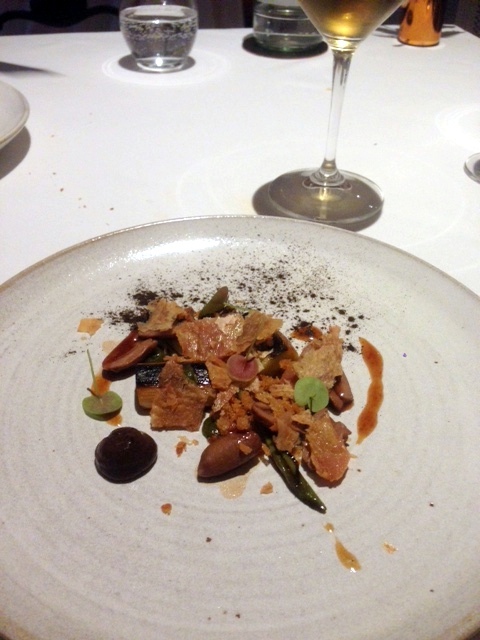 But even if an overnight stay is not of interest, then go just for the tasting menu as it was excellent. 1) The food – full stop. It was excellent. 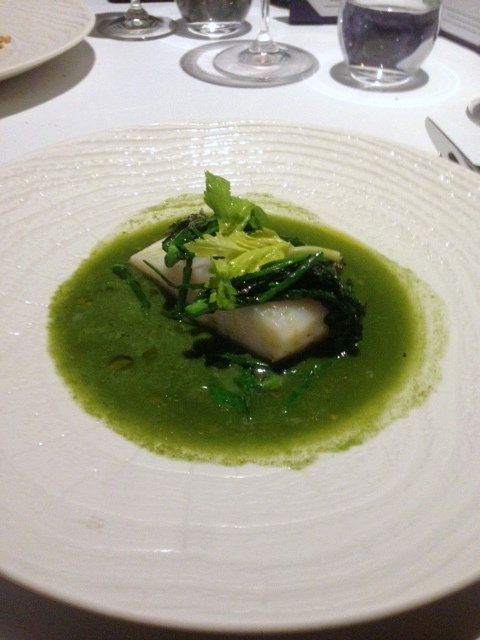 2) But number one favourite was the halibut dish (even though this was cold). 3) The superb freshness of the food. 1) The coldness of the halibut dish. 2) The fennel dessert and the petit fours weren’t to my taste. 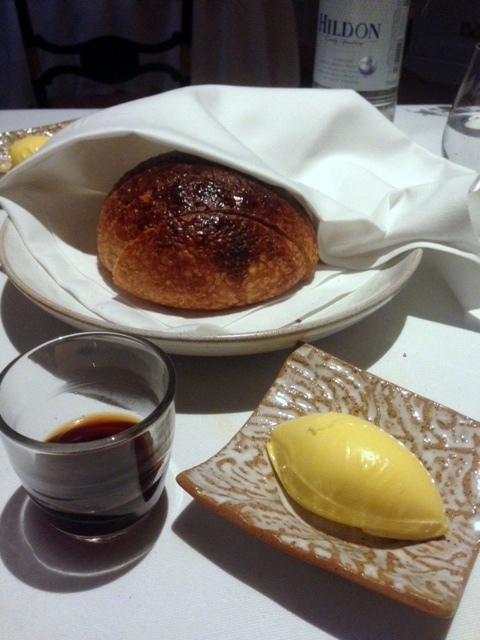 Price: The tasting menu was £65 a head, excludes drinks and service. Hotel stays start from about £150. But contact the hotel for offers.